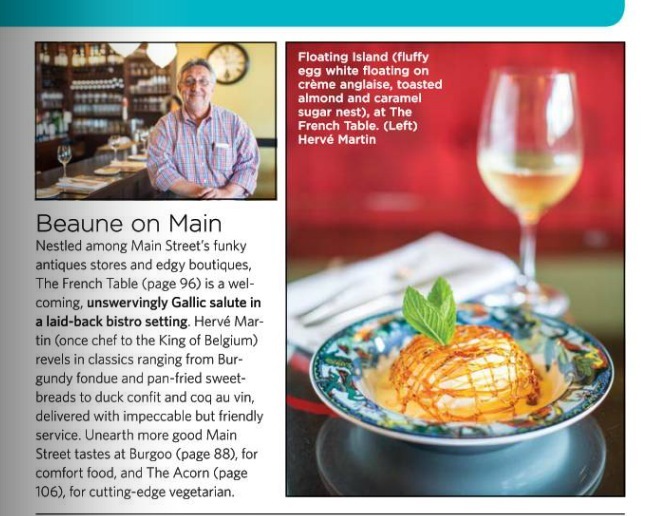 Thanks for the mention Where magazine! The floating island is one of our most popular desserts. To find find more food pics, check out our full dinner menu in photos.